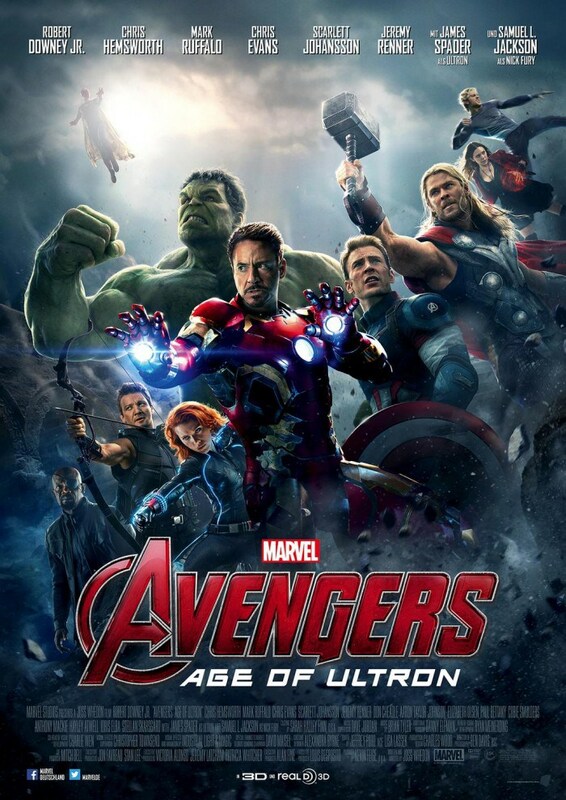 tags: Avengers: Age of Ultron, Chris Evans, Chris Hemsworth, James Spader, Robert Downey Jr. Ever since the credits rolled on 2012’s Avengers — or to be more precise, when the shawarma scene faded to black — there’s been no more anticipated sequel than its followup. The original was one of those rare movies that sends audiences out of a theater talking and feeling good and making plans to see it again, and the mid-credits Thanos tease, which I kid you not almost sent the fat guy sitting next to me into a rapturous heart attack, was like throwing gas on a rampaging fire. Marvel took a risk by trailblazing a shared universe, something now all the rage in Hollywood, and it paid off for them (and their Disney overlords) big-time, with a gold standard movie brand the likes of which we haven’t seen since a little something called Star Wars. (Old good Star Wars, not newer crappy Star Wars — though the most recent trailer holds promise.) We were all left salivating for the next installment. True, the movies for the individual characters during the intervening years have tided us over (Thor and Captain America’s were pretty good, Iron Man’s was insulting), and we even got a brief Thanos turn in last year’s breakout Guardians of the Galaxy. But they don’t quite cut the mustard — we want all these icons back in the same frame, side by side and occasionally clouting each other with hammer, fist and shield. Cameos do not suffice. Enter Age of Ultron, a massively budgeted ready-made blockbuster which hurls a classic Avengers foe at our heroes and serves as a bridge to the eventual Infinity War two-parter, which will make heads explode in three years. Let’s be honest: it’s hard to screw up the formula at this point, but AofU wouldn’t be the first sequel to crap the bed. So what’s the verdict — are we dazzled again, or painfully underwhelmed? Has Joss Whedon triumphed once more, or botched it? The answer is: I don’t know what the hell to make of this one. While it’s hard to regard AofU as anything other than a fun summer movie, it’s nevertheless lacking some of the narrative precision of its predecessor. It’s a challenge to live up to that benchmark, and it shouldn’t get demerits for not doing so, but there are more than enough storytelling problems to give one pause. People are going to find a lot of things to love in this film, but it’s far from all it could — and should — be. If I could put my finger on one word that describes the problem, it would be “forced.” This movie tries way, way too hard, when, to crib from an old flick, it had us at hello. And about that killer robot. James Spader’s Ultron is an engaging villain when he’s around, with humor and malice and menace all rolled into one. Once you get past the Uncanny Valley oddness of him (I couldn’t help thinking how much he looked and sounded like a Seth MacFarlane creation at first) he’s one of the better things going. And don’t worry, he gets set-piece fights with all of the core Avengers. Ultron is very much the Ultron we all know and love, a mad machine who, like SkyNet, takes his protection mandate to a genocidal extreme. Could have used a tad more of him, though. The one character who does get more to do this time is Jeremy Renner’s Hawkeye — perhaps too much. About midway through the movie lurches to a halt as our beaten and bruised team heads to a “safe-house” Mr. Barton has, and all of a sudden he’s an erstwhile Pa Ingalls. Huh? The forced homeyness on display here was utterly cringe-inducing. (While Steve and Tony were chopping wood, I wondered if Kirk and Picard were doing the same thing the next house over.) And this setting featured a line I despised more than any I’ve heard in a long time, which had me wanting to bash my forehead into the seat in front of me: “I totally support your Avenging.” Yes, these words were uttered by human lips. Yeah, there’s some HORRIBLE dialogue in this, as the script almost chokes on Whedon’s relentless quips, which land about as often as a journeyman middle-infielder hits a home run. And it gets even worse when the movie tries to calm things down and get all serious, as it does when exploring the relationship between Bruce Banner and Natasha Romanoff. At the aforementioned Chez Barton they have a scene that almost had me stand up in my seat and bellow “BO-RING” in my loudest Homer Simpson voice. Parents, be warned: if you bring your kids, they’re going to be squirming through large swaths of the runtime. Because there’s nothing youngsters like hearing about more than a woman’s sterilized womb. Takeaway: there are some real deep lulls here, which we didn’t have three years ago in a much tighter plot. Apparently someone at Marvel took all the “What about the innocent bystanders?” criticisms leveled at Man of Steel to heart, because this movie takes great pains — GREAT pains — to emphasize how our heroes will take time out of their busy avenging schedules to get poor schmucks to safety. Which is fine, but at times it feels like you’re watching Rescuing Civilians: The Motion Picture. Surprise, the action is great. From the in media res opening, (an unbroken shot recalling the best sequence of the first movie), to the Hulkbuster fight, to everything else, these sequences are big and slick and well-done. The way the heroes play off of one another never gets old. Never. It’s worth the price of a ticket. Watch for the Scarlet Witch’s Mola Ram moment. Ohm nama Shivaya! The brightest highlight here is the Vision, played ably by Paul Bettany — finally getting to step out of the Jarvis recording booth. A third act reveal, you’re almost dreading his arrival, as your head is spinning at that point with the scatterbrained plot and the brigade of characters. But lo and behold, he’s a delight, with a lightning-infused Frankensteinian birth, diction reassuring in its calm, and a look and powers straight from the books. And he gets two of the best moments: wielding a certain something that puts to rest all argument over whether or not the Avengers should trust this Ultron creation, and a quiet, sun-drenched tête–à-tête at the end with his shattered, beaten maker. The latter scene is quite touching, and thus a pleasant surprise in this rather loud, rather dumb affair. I like the cut of this guy’s jib, and can’t wait to see him again. You’ll likely feel the same. Perhaps the toughest thing going against AofU is how it’s a placeholder — and that you know it’s a placeholder. Even outside the constant references to Infinity Stones and hex-induced glimpses of a dark future — and another credits stinger — there’s the fact that Marvel has already called their shot and scheduled the two-part follow-up, and a gaggle of individual movies in between. While that announcement was audacious — how many studious have ever laid out a slate like that? — it robs an audience, especially one in the know, of the joys of not knowing what the next twists in the road will be. Yes, Ultron is a fine villain, but when are we going to get to the top shelf liquor, you know? Oh, and enough with the disposable robot/whatever armies. Enough. Like with a lot of superhero movies, there’s a baseline of quality that’s almost impossible to go beneath. The sheer joy of seeing all these characters with their own histories and movie franchises banding together remains wondrous, especially since for so long it seemed such a dream would forever be beyond our reach. But Whedon’s scriptwriting act has grown stale (it was never all that fresh for me anyway), and weighs down doings that should be effervescent. It may seem from the moaning above that this is a bad movie, and that I hated it. It’s not, and I don’t. It’s quite enjoyable at times. But put it to you this way: I couldn’t wait to see Avengers again. I’ll probably get around to seeing its sequel a second time. Someday. Three and a half Vision widow’s peaks out of five. Maybe just three. I always go into these things thinking “popcorn, crap and John Waters.” It’s just pulp….like the comics. No need to take it seriously. And I enjoy it sooooo mush more with that mentality.